Mike Geyer is the director of evangelism and emerging technology at Autodesk. You might have noticed something puzzling if you’ve been keeping an eye on the crowdfunding space: A large number of seemingly promising crowdfunded hardware startups fail to deliver. The list of high-profile stumbles includes Zano, Kreyos and Jolla, to name a few. Then there are campaigns like the Skarp Razor, which is almost certain to not meet backer expectations — assuming they deliver anything at all. What went wrong? As a backer, which campaigns should you avoid? As a creator, what can you learn from the missteps of those hardware startups who tread the path of crowdfunding before you? Building a single functioning prototype is not the same thing as building thousands of production units. Complexity increases at a seemingly exponential rate, so sourcing and logistics become a totally different ball game. To put things in perspective, think about preparing a nice steak dinner for yourself. No problem, right? Now think about preparing that same dinner for 100 guests you’ve never met, or even 1,000. Simply buying the supplies becomes a huge challenge, but preparing, delivering, customizing and returning the meals completely changes the game. You’re likely to face some disappointed guests. With crowdfunding, those guests are all the equivalent of Yelpers — and their negative comments can snowball quickly. Not having a deep understanding of every single aspect that goes into your product and where you can source it will have vast implications throughout the life of the product. The key? Knowing your BOM (bill of materials) inside and out. Even a very simple consumer electronics product will likely have 50-100 different parts. If you’re going into production, you need to ask yourself: Where are those parts coming from? Are you getting them from more than one supplier? Do the suppliers charge different amounts for components, or have different minimum order quantities (MOQ)? If one supplier has MOQ 10,000, for example, and you only need 5,000 circuit boards, you’ll be paying a premium for those components. Also: What are the implications for assembly if shipment for one out of the 50 components is late — does everything grind to a halt? Where will you store the unused inventory? What are the challenges that scale might introduce, and how will you meet them? To address these challenges, you need to go beyond building a physical prototype and build a “supply chain prototype” — which is to say that you need to know your bill of materials inside and out, and become very familiar with where you can source your components. Map out what your business is going to look like in three years if the venture is successful and you’re shipping 10,000 units around the world. What are the challenges that scale might introduce, and how will you meet them? If you have the answers to these questions, you’ll be way ahead of the game. Many hardware startups believe that going through an accelerator program, making it to demo day and launching their crowdfunding campaign is an end state. That’s the nirvana they’re after, and everything is downhill from there. In many ways, it is a huge milestone that many never achieve. But it’s also just the beginning. Successfully funding your product doesn’t mean you’re all set and the rest will fall into place. Now you must figure out how to make this thing for your community, exceed their expectations and maintain a profit margin to keep your business alive for the long haul. It’s great that crowdfunding sites provide a new means for accessing capital — but that isn’t their only value. Many savvy hardware startups now use crowdfunding primarily for either market validation or for marketing and awareness. Gaining access to money is almost a tertiary goal behind these other two objectives. If you build a loyal community for your product and services, they’ll prove much more valuable than the cash. The trick for hardware startups is to be very clear on the objectives for their crowdfunding campaign so they can get the most out of it. 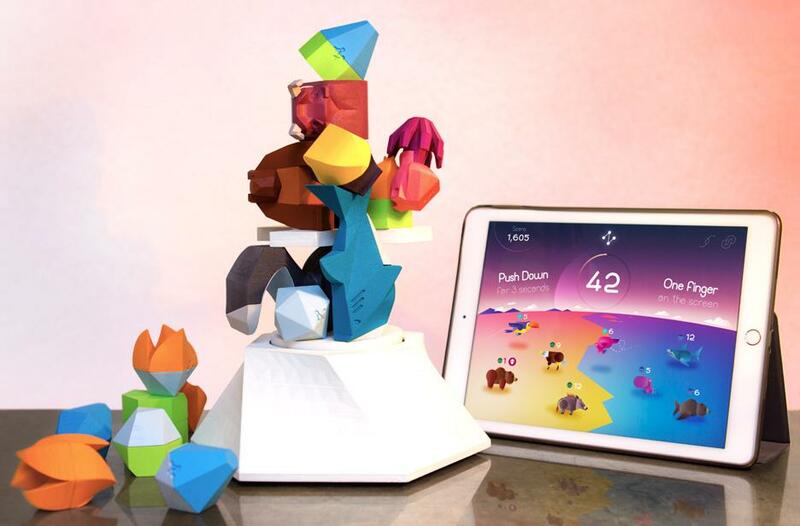 For example, the creators of Fabulous Beasts — a tabletop game that ties real-life objects to a connected virtual world — took their prototype to gaming conferences and festivals to get as much user feedback as possible before going live on Kickstarter. Creating a product that catches people’s attention and imagination is great — unless your customers put it aside after a few weeks and forget about it entirely. How do you ensure that your product isn’t just a disposable gadget, but something that can provide long-term value and engender the type of loyal fan base everyone dreams of? To provide long-term value, you need to think long-term. That means thinking about building a business rather than a product. First off, in 2016, devices shouldn’t be dumb. Simply connecting a device to a mobile app isn’t “smart enough” anymore. Many of today’s most popular products are vessels for software technology, so hardware needs to be built in parallel with that strong software component in order to provide continual value to the user. You should also think about how your product fits into the larger ecosystem of things that are already out there, and how you can make your hardware a platform more than a product. Drones, for example, aren’t just a product — they’re a platform that other companies can build businesses on top of to perform surveillance, collect data or deliver beer. Think about building a business rather than a product. One of the easiest ways to become a platform is to embed sensors and data collection components into a product. Think about information your product could be collecting that may have nothing to do with the core function of your product but could benefit various partners, markets or businesses. Seek partnerships you’ve never considered, and find the value in your product’s “exhaust data” to quote my good friend Mickey McManus. Having trouble picturing what this might look like in real life? Consider a garage door opener… Thousands of these mechanisms stare at the same thing all day long: either a garage floor or a car. But what if there was a highly calibrated camera embedded in every garage door opener that could watch the degradation of automotive paint over the lifetime of the car? That data would be worth a lot not just to automotive manufacturers, but to the companies that produce the automotive paints. If you want your product to provide long-term value, you should start making these types of “I-never-would’ve-thought-of-that” connections. And thanks to new platforms like Forge — a set of cloud services, APIs and SDKs from Autodesk — there’s a growing ability to connect the various pieces of the product ecosystem (hardware, software and more), enabling individuals to easily build apps and other valuable services on top of their products. It should go without saying that many of the above pitfalls can be avoided by tapping into the hardware startup community and talking to people who have been down this road and learned a lesson or two. Find your Mr. Miyagi, the wise mentor who can share their incomparable knowledge and experience. The core community in the hardware space is truly open, very supportive and incredibly helpful. It’s a rich source for mentors and advisors. Start with local hardware meetups. If you’re not already attending, these events are popping up in every city. The one in San Francisco meets every month, and it regularly draws 150-200 people. Another great option is a series of events put together by Marc Barros called the Hardware Workshop. These are phenomenally helpful, low-cost. two-day events where hardware founders can meet all the right people to build a better company. While crowdfunding campaigns can help provide the funds to bring your product to market, they aren’t a substitute for experienced advisors, or good relationships with suppliers. They will also be of minimal use if you don’t have well-documented market research supporting the viability of your device, or a strategy for ensuring your product can provide long-term value. Keep these points top of mind, however, and you’ll be well on your way to successfully launching your crowdfunded hardware startup and avoiding the pitfalls that can sink even the best-intentioned companies.